America’s best-selling van is even better for the 2016 model year, with the addition of available SYNC 3, rearview camera technology and new customization options. Transit quickly took over the best-selling commercial van title in November 2014, having been available beginning in June at U.S. and Canadian dealerships for the first time. 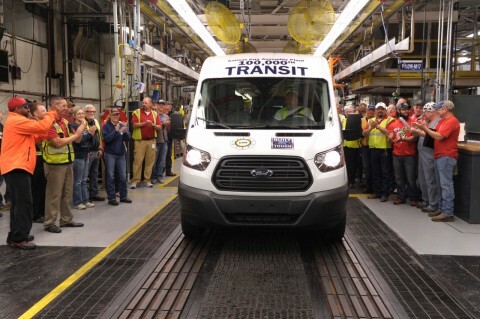 Ford has produced more than 100,000 Transit vans and wagons at Kansas City Assembly Plant during the 2015 model year. 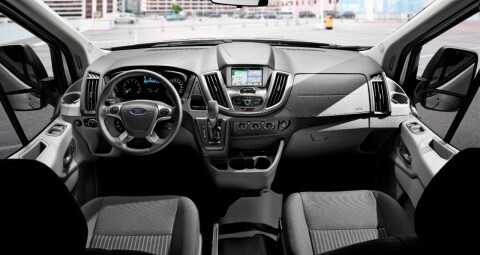 SYNC 3 – Ford’s new communications and entertainment system available on Transit for 2016 – features faster performance, more conversational voice recognition, a more innovative smartphone-like touch screen and easier-to-understand graphical interface to help Ford customers connect on the road. All 2016 Ford Transit vans and wagons will include a rearview camera and trailer hitch assist technology as standard equipment. Trailer hitch assist automatically engages when the vehicle is shifted into reverse and displays a graphical overlay on the screen that helps guide drivers to line up a hitch with a trailer. 2016 Transit cutaway and chassis cab customers will have the option to display the area behind the vehicle on the rearview mirror. 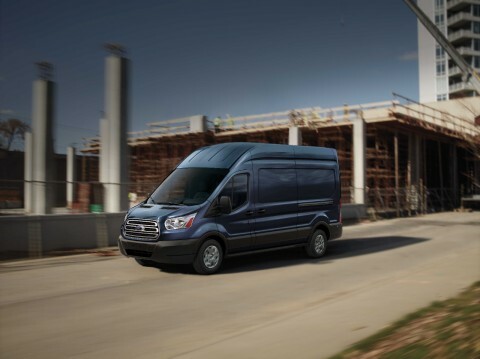 Dual sliding side cargo doors also will be available for the first time on Ford Transit medium- and high-roof vans – meaning customers can choose from 58 vehicle configurations, up from 47 in the 2015 model year. 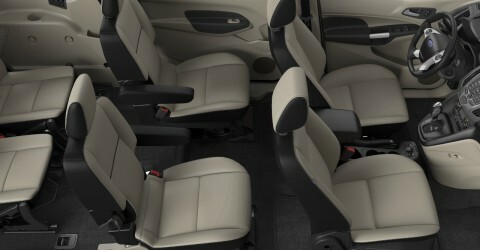 With the introduction of a dual sliding door option on the 2016 Transit van, the vehicle with the most configurations in its class just got even more flexible. A host of additional upgrades for the 2016 Transit are designed to increase capability for customers who upfit their vehicles. Auxiliary fuse panels are optional on all Transit variants to power custom upfit accessories or other implements. A single absorbed glass mat (AGM) battery – designed for drivers who need to power extra lights or equipment – is optional on all gas engines. Heavy-duty alternators are optional on wagons – giving customers who up-fit their vehicles more power to run accessories.